Coat a non-stick pan with cooking spray or coconut oil and cook your french toast on each side for about 2 1/2-3 minutes. Top with favorite syrup, nut butter, fruit or toppings of your choice and ENJOY! 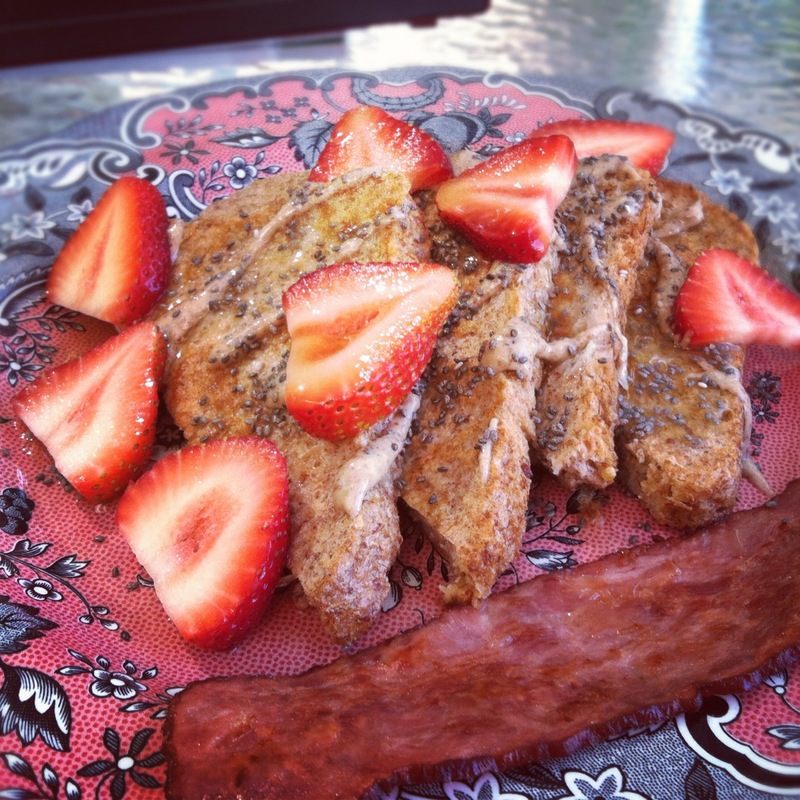 I topped mine with chiaseeds, raw almond butter, walden farms calorie free syrup and sliced strawberries. yum!